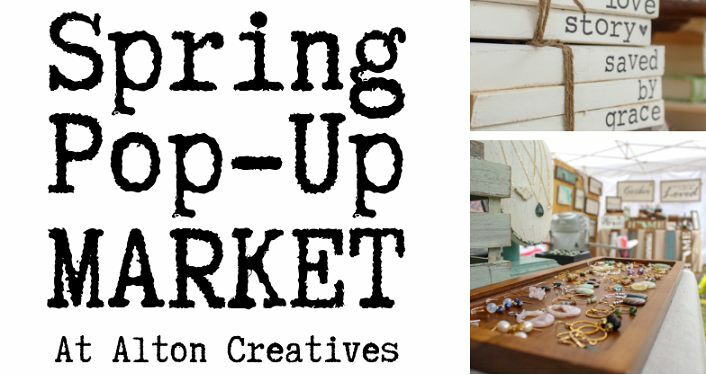 Stop by Alton Creatives on May 4th for the Spring Pop-Up Shop and DIY Day. We’ll have different vendors on site that sell handmade, vintage, re-purposed items, jewelry, candles, bath products, clothing, plants and more. Support your local makers and have a great time! The upscale, pop-up market will be at our location on the first Saturday of each month.